There is an ever growing number of software developers in the world and a very limited number of rewarding jobs, so how do you make yourself noticed without killing yourself working crazy hours? There is a steadily growing move away from the traditional HR route to getting a job, especially for those great jobs. 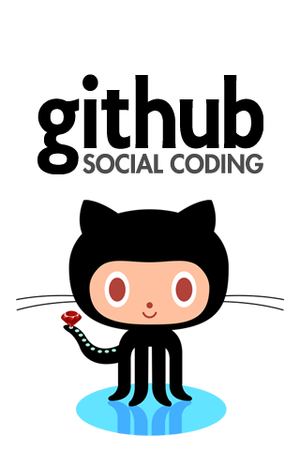 The most common approach seems to be scanning code repositories such as Github. Its not surprising that one of the main skills an employer is looking for is good code, but how much code do you put on your CV? Developers have seen the benefits of sharing their pet projects (it worked for Linus Torvald) and its a great way to show off not just your skills but also you interests. I share the code I help create at coding dojos and those kind of events are a great way to show of your interest in learning something new. Good employers also look for active committers on open source projects to understand the quality a developer can provide. Working on an open source project is a demonstration of how well you can work in a team. Not only showing code, but also helping other developers with problems and how they deal with the community of users around the project. LinkedIn is simple, its like your traditional online CV and a no-brainer to keep current so people can see your general history. I also include any significant community involvement on my profile, to give a more complete picture. I didnt get twitter at first, until I saw tools like Tweetdeck (a great startup success story in the UK) and Hootsuite. These tools allow you to filter out noise and turn twitter into an excellent research and communication tool. If there is some great event happening, an interesting article to read, or a cool new project update, you can usually find it out first on twitter. The other aspect to twitter is following interesting people - or as is more common, following interesting hash-tags - eg. 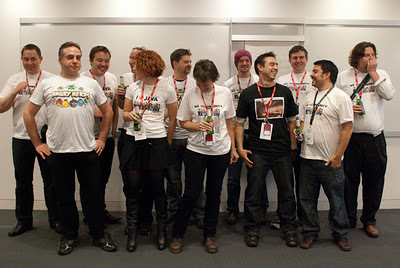 #LJCJug for the London Java Community or #Clojure for discussions on the functional programming language. 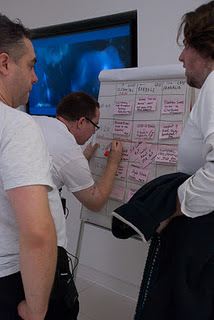 Most technical events have a hash tag so you can give feedback and share the lessons learnt from those events. Although many people share their blog posts by twitter, its not a complete replacement for for RSS feeds, rather it is a good way to find blogs that are worth reading and adding them to your feed reader (eg. Google Reader). Your code does not tell the whole story, so why not share your thoughts, opinions and aspirations. Having a blog is not about telling the world what they should be doing, but showing leadership in the discussion of worthy topics. Rather than try starting language wars, interesting blogs are those that encourage you to improve and give you the tools to do so. Have a look at the range of topics covered on the London Java Community blog aggregation site, agrity. Being part of a great technical community also includes events outside of the Internet and is a great way to build meaningful connections with people. There are hundreds of amazing technical communities in the UK and I find it very rewarding (socially and financially) to be a part of many of them. Meetup.com is a great tool for organising events and getting feedback from the community as to what kind of events to run. Talking to people shouldn’t be a scary thing, we are all human after all. As with most things the more you practice speaking, the more confident you become. Start with topics you are comfortable with and do small presentations eg. a 5 minute lightning talk. Speaking at a community event is a great opportunity to talk to a friendly audience and get positive feedback. Its easy to get lots of ideas on how you can continually improve. An added bonus to speaking in public is that is makes speaking at an interview seem a great deal easier. You will have more to talk about and will have explored many different ways to try explain things. I’ve used Google sites as a great learning tool for myself and a simple way to share my learning experiences with others. Whist a blog post series can help you learn, there is always a trade off with brevity. A really long blog can quickly becomes irrelevant and dull (hopefully not this one). However a well organised website allows you to find the relevant information you need quickly. The websites I build also show the level of understanding I have gained and I always feel I have learnt more when I write down (and draw) what I have learnt. As you build up the site, you have reference materials you can refer to from your blog posts, allowing you to keep those articles focused and interesting. To support this blog I have therefore added an online persona section to my website. By sharing a little of who you are and what you do, the basics of your personality, helps open up opportunities that you many not have otherwise had. If you keep your online presence an honest reflection of yourself then its a great way to establish meaingful communication with the wider world.